Thank you for becoming a prestigious Patron of the Arts! The St. Johns River Festival of the Arts recognizes the importance of the support of the community from art lovers. As an Art Patron you pre-commit to purchasing art during the event. This has a direct impact on the success of the art festival AND the success of the “Art-for-Kids” Scholarship program. Choose your patron level below. The art bucks are the equivalent of cash and are given to the artists as payment throughout the festival weekend. At the end of the event the artist will redeem them as cash. We encourage you to choose the level of sponsorship that works for your fine art and fine craft collection! 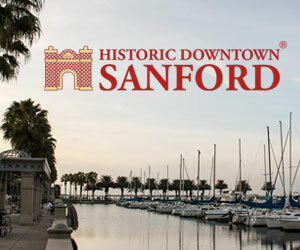 Spend the weekend in beautiful Historic Downtown Sanford. May 4th & 5th, Saturday 10-6, Sunday 10-5. Donations to The St Johns River Festival of the Arts are considered charitable contributions and are tax deductible. The art festival is a not-for-profit organization, designated by the IRS as a 501(c) 3 non-profit organization and is tax exempt in the state of Florida and is run entirely by volunteers. Recommend the Art Patron Program to your friends! The artists and Festival Board of Directors thank you for your commitment to the arts through this program! Thank you for your interest in our Patron of the Arts Program of the St. Johns River festival of the Arts. Please fill out our online application (link below) or send us your name, phone and email to StJohnsRiverArtFest@gmail.com and we will contact you shortly. If you prefer to call we can be reached at 407-314-6809. Please help support the festival – recommend the Art Patron Program to your friends! 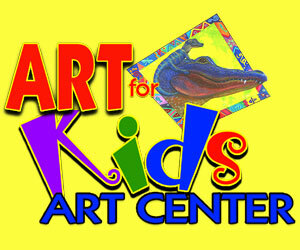 Enroll Your Children in Art For Kids Art Classes this Summer! We’re able to keep the culture and creativity flowing through our county because of you! © 2019 St. Johns River Festival of the Arts &dash; All Rights Reserved.